When demolishing an existing building to make way for a shiny new one, local councils will refer to a Bat Report. There are very strict guidelines when it comes to Bats. There’s a very helpful article on the RSPB website titled ‘Bats and the law‘. I looked this up partly out of curiosity and partly because I needed to know as part of my job. On reading through the article if was difficult to contain my laughter at the ridiculousness of the regulations. For your education and amusement I will quote from part of the article below – before drawing out my conclusion. 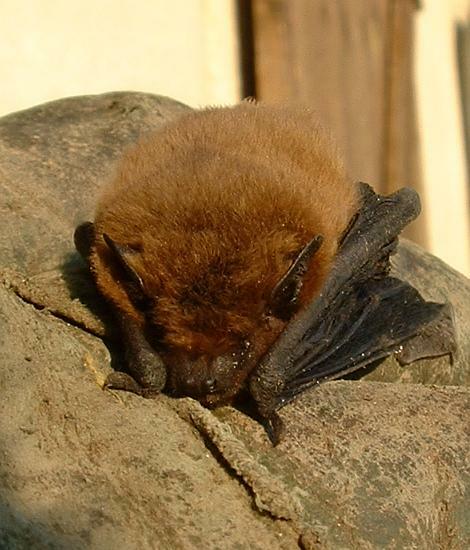 “The Wildlife and Countryside Act 1981 (WCA) protects bats and their roosts in England, Scotland and Wales. Some parts have been amended by the Countryside and Rights of Way Act 2000 (CRoW) which applies only in England and Wales. The Conservation (Natural Habitats,&c.) Regulations 1994, better known as the Habitats Regulations, implements the Council Directive on the Conservation of Natural Habitats and of Wild Fauna and Flora – better known as the Habitats Directive. All bats are listed as ‘European protected species of animals’. intentionally kill, injure or take a bat. Under the Habitats Regulations it is an offence to deliberately capture or kill a bat. to take a disabled bat, for the sole purpose of tending it and releasing it when no longer disabled, as long as that person can show that it was not disabled unlawfully by them. It is laughable for a while, until one realises this is serious. Forgive me for thinking that Bats are obviously worth far more than babies. A Bat is safer than a baby in the Womb. It should be disturbing how our society mainly thinks of babies with any serious defect that they are so ‘seriously disabled, other than by their own unlawful act, that there was no reasonable chance of it recovering.’ One of my own grandchildren under this rubric would be in the trash. The images show that a 24 week old baby is a fully developed human being, yet abortion is still legal up to this point in England. A baby spends its first nine moths in the womb – the ‘habitat’ if you will. Is it safe there? No it isn’t! the reality is a Bat is safer and better protected than a Baby. You can invade its habitat, you can chop it into tiny pieces, liquefy it and then extract it by means of suction. You can’t do that with a bat, but you can do it to a baby in the womb. Isn’t there something wrong? In our crazy God rejecting world Bats are worth more, maybe worth far more than a baby, than human life. Pro-lifers: the student censor’s favourite target | Abortion | Down with campus censorship! | Free speech | spiked. Good article as an example of (almost) how the ‘tolerant’ would like ‘Free Speech’ to be policed. 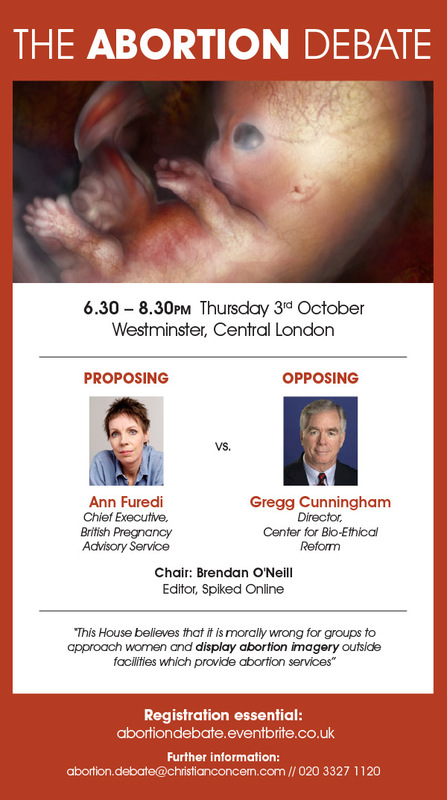 The Abortion Images Debate that took place in early October is available to download. You can download it from here. I have listened to the debate and it is worth an hour and half of your time. I listened to it in the car travelling to work. Your jaw will drop at some of the statements from Ann Furedi (and some of the questions from the floor) as she seeks to defend the indefensible. Arrived in my inbox. Don’t know if it will be recorded or available as a download. There is no other way to describe the testimony below as Horrific. We rightly condemn acts of terror, homicide bombing and the like. But bear in mind the account below is State Funded. Both here in the UK and in the US The State is funding its own Genocide. There’s no other way to describe it. Also, consider this, rational sane ‘nice’ people actually argue FOR the procedure below. And, they will argue it forcefully, passionately and argue for the freedom of the women (mother) for this to happen. Where is the right of the child? Can any civilised society support this – well yes they do. And you help pay for it. What stopped Dr. Anthony Levatino? Sadly, his daughter died. Then he woke up to the horror of his ‘work’. When we moved in a couple of months ago the previous owner asked if they could leave the chickens because they could take them. My wife had wanted chickens for a long time but we’d never had the space. So we agreed. It didn’t take long to name them – Colin the cockerel and Sybil & Bertha. Naively we let them wander around the property and just put them away for the night. In the morning there was usually an egg. They were great fun to watch and it was anybody’s guess as to where they would be. Real free range! They lasted for about two months. Fist Sybil. Next day it was Colin. Really upsetting – it’s amazing how quickly we got quite attached to them. No guesses – it was a fox. There was no time to put fencing up so Bertha was taken to a friends – not as good as our place for her but alive. Hopefully we can have her back sometime. Our neighbour was surprised they lasted as long as they did. My wife saw the fox a couple of times. Quite big but scrawny. I shot a rat the other day with my air rifle. I’m thinking whether I need a more substantial weapon in order to deal with the fox. Maybe an Uzi 9mm. If it comes on our property or anywhere near that fox will be for it. My wife started looking into suitable runs or pens for chickens that would give protection against a fox. The fox is quite a predator, determined and wily. They bite though a lot of fencing as well. During this research we found out that fox’s are a protected creature. I wished I didn’t know that so I could shoot it in all ignorance. But now I do. So it can have our chickens without any reprisals. This got me thinking. The fox is protested. But an unborn child is not protected. How many thousands of babies are aborted – murdered. And yet, if I were to kill a fox on my property to defend our chickens I could face a fine or imprisonment. Somethings not right! Some time ago a friend of ours was out collecting / petitioning for LIFE (pro life organisation) when someone stopped to ask if it was for animal rights. When they were told it was for ‘pro life‘ anti-abortion they said ‘oh, not interested then’ and walked on. Not an uncommon attitude I suspect. Reported on the BBC News over here is a forced abortion in China. Feng Jianmei was injected with a chemical forcing an abortion that took place 36 hours later. It was kind of weird to hear the sense of shock and outrage by the BBC when their normal position is support for the Pro Choice lobby. I’m tempted to ask ‘what’s the problem, it’s only a fetus’. 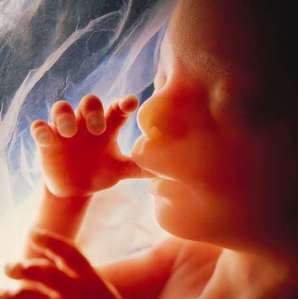 We as a country support the taking – murder – of thousands of unborn children every year. And yet, because China forces a woman to have an abortion there is outrage. We read of ‘shock over abortion photo’ yet where is the shock and outrage over thousands of children being murdered annually in the self-righteous West! Here in the UK! There is a You Tube video of Feng Jianmei but the picture of the aborted child is blurred out. Why? To sanitize the full horror. We should be allowed to see the full horror of this horrible procedure. The picture above is from an excellent post by Matt at Well Spent Journey. Without the moral grounding of the Christian faith, a faith people do not want, a faith a secular State does not really want there is no problem whatsoever with murdering babies. Without a belief in God there is no such thing as Evil. There is no basis for the concept of evil without the Christian God. See my previous post for more on this subject. The Pro Choice Abortion ideology present the only real difficulty about having an abortion is the hoops a woman has to jump through in order to get one. But there is a real ongoing cost to taking the decision to ‘terminate’ the child. To read about the journey one woman has made and is making go to Rebekah’s Hope. Michelle had an abortion some 20 years ago and is still working through that decision.